Established in 1998, this Microgaming powered online casino has been providing players with great gaming experience and some of the best online bonuses for nearly two decades. Offering great game selection, especially in terms of video slots, and registered with the Malta Gaming Authority, Jackpot City Casino is one of our top recommended casinos for players from Canada. Like other casinos presented on our site, Jackpot City allows playing in the native Canadian currency (CAD), provides payment methods favored by Canadian players, and provides a number of very popular games with the players in the country. On top of it all, their support team is really top of the line, always ready to offer their assistance in a patient and friendly manner. 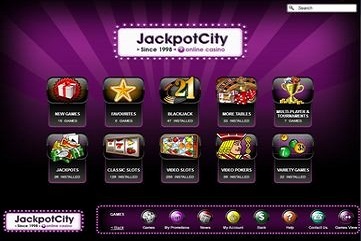 Based on the Microgaming software, Jackpot City offers a wide range of games packaged in a rather flashy but quite appealing user interface. Games can be played via the instant play option, while there is no downloadable software. The interface has also been optimized for a variety of mobile devices, including Androids, iPhones, and iPads. The casino games are regularly audited by eCogra, which ensures that player returns are fair and in line with what is expected from an honest and well regulated casino. The eCogra seal of approval, combined with the license from the Malta Gaming Authority, are more than enough proof that you are in good hands with Jackpot City. The casino’s featured games are, naturally, Microgaming’s progressive jackpot slots like Mega Moolah, Mega Moolah – Isis, Major Millions, and King Cashalot. Mega Moolah is probably the most famous online slot in existence today, creating a new lucky millionaire every so often and it is found across all Microgamming powered casino. Jackpot City is no exception. Jackpot City Casino offers a truly generous welcome bonus package to all new players from Canada, totalling C$1,600. The bonus is divided into four parts, spread across your first four deposits. The maximum amount you can receive on a single deposit is 100% up to C$400. Make all four deposits for the maximum amount and that’s total C$1,600 to play with, on the house. Overall, Jackpot City does offer a fairly generous bonus, but their wagering requirements are a bit steep. While it is hard to complain about free money, you, as a player, need to be aware of all intricacies connected to a welcome bonus on any of our recommended casinos and make your decision based on the full set of information. This particular bonus is definitely a decent one, it will just take longer to meet the wagering. 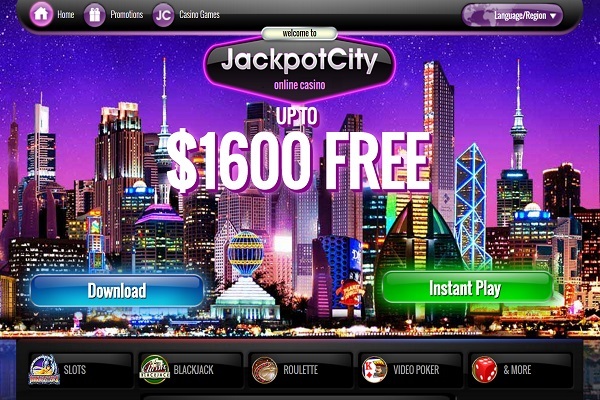 Although Jackpot City Casino doesn’t offer a dedicated mobile app that you can download to your mobile device, they still made sure players enjoy great gaming experience playing from their Andorids, iPhones, tablets, and iPads. Their on-site instant play solution has been adjusted for mobile play and you should experience no difficulties whatsoever. The range of available games is practically the same, since the casino only optimized their instant play software. The casino offers a number of regular daily, weekly, biweekly, and monthly promotions for their players, past the welcome bonus. Among their constantly running promos are Match Promotions, which award players with bonuses based on their play during the previous period (a week, a month, etc.). Like every other solid Canada facing casino, Jackpot City also maintains a Loyalty Club, awarding players with points for their wagers. These points can be exchanged for cash, giving players an incentive to play even more. The biggest players will enter the VIP Club, where there are special rewards waiting, including bigger bonuses, exclusive promotions, and VIP hosts to take care of their needs. One of the things Jackpot City is particularly proud of are their lightning fast withdrawals. Most withdrawals are processed and available to you within a 48 hours window. This is, of course, provided your account is in good standing and it has been through all required security checks to confirm your identity. As for the banking methods available, all popular options are there, including Visa and MasterCard, Neteller (which is important for Canadian players), Ukash, Skrill, and more. There are no fees imposed on any withdrawals or limits with Jackpot City. The Jackpot City Casino definitely belongs to the group of premium online casinos that we can truly recommend to all our players from Canada. Although their selection of table games is a bit smaller, they more than make up for it with more than 300 popular Microgaming slots and the fact there is also the Live Casino available. 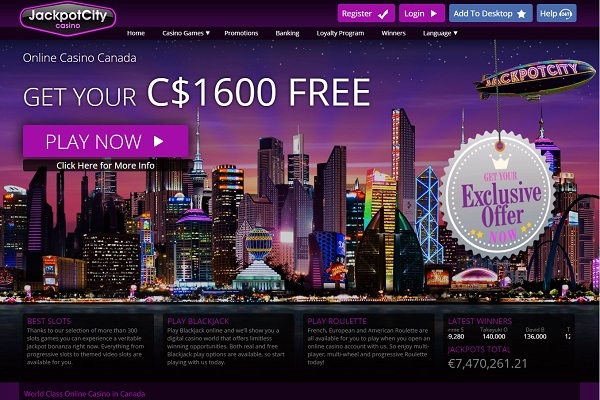 Licensed by the MGA, independently audited by eCogra, and offering super fast cashouts, Jackpot City really has a lot to offer, especially given the fact that they went through trouble to ensure Canadian players can play in their native currency and even receive bonus promotions in C$, instead of going through the trouble of converting the amounts.